Houston Hall is about a great mystery, Scottish mythology, a tragic family history and great emotions. Anthony Houston, a successful Edinburgh lawyer, returns to his parents’ country estate when his family is cruelly killed. He wants to find out who is responsible for this tragedy. But the fear of being in the perpetrator’s sights as well turns him into another, a perturbed, paranoid person who won’t let anyone get to him. Until Mary suddenly shows up at his door and applies as a new maid. She turns his life upside down – and gets his investigation going. But above all, she confronts him with a reality that lies beyond his rational mind. Houston Hall cannot simply be put in a drawer. It’s full of history and mythology, full of drama and suspense, full of crackling, emotion and humour. And from time to time pathetic – if the lecturer may be believed. But above all it is full of miracles and coincidences for the author. Dirleton’s real story has many scary parallels with the parts of the story Mary Cronos made up before she even knew of Dirleton’s existence. For the author, the proof that this story simply had to be told. Mary Cronos was born in 1987 in an idyllic Brandenburg community on the outskirts of the capital and studied theology until 2015. In 2013 she took the plunge into self-employment as a freelance artist and today she works as an artist (cosplay photography, cover design, illustration) and author. She uses the rest of her time for blogging and travelling and for her charity project Mission:Change. 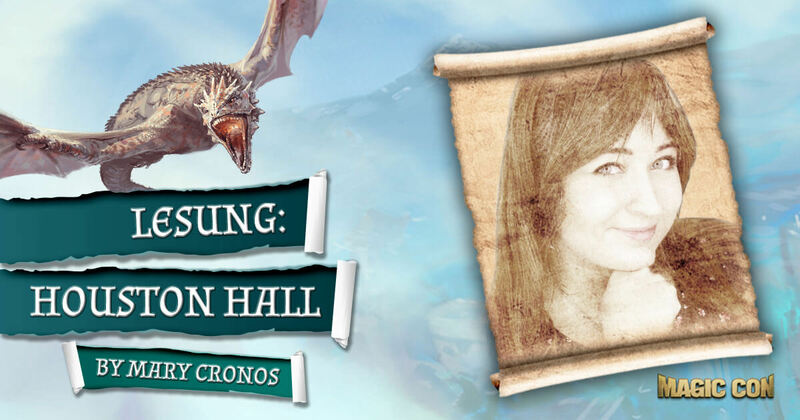 In spring 2015, she published the first two volumes of her high-fantasy series "Nafishur" in self-publishing. In November 2016, two of her illustrations were published in the charity anthology "Hoffnungsschimmer. Im Dunkel ein Licht". Three more are part of the new "Hoffnungsschimmer" anthology. 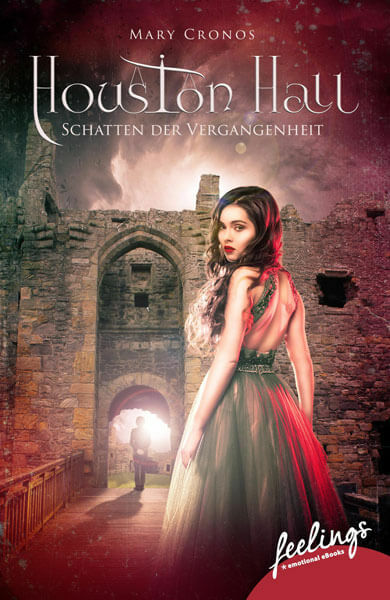 In January 2018 she celebrated her publishing debut with Droemer Knaur - with the historical Romantasy novel "Houston Hall - Shadows of the Past". The next two volumes of her "Nafishur" series will finally be published at the beginning of 2019. She is represented by Langenbuch & Weiß in questions regarding her publications.